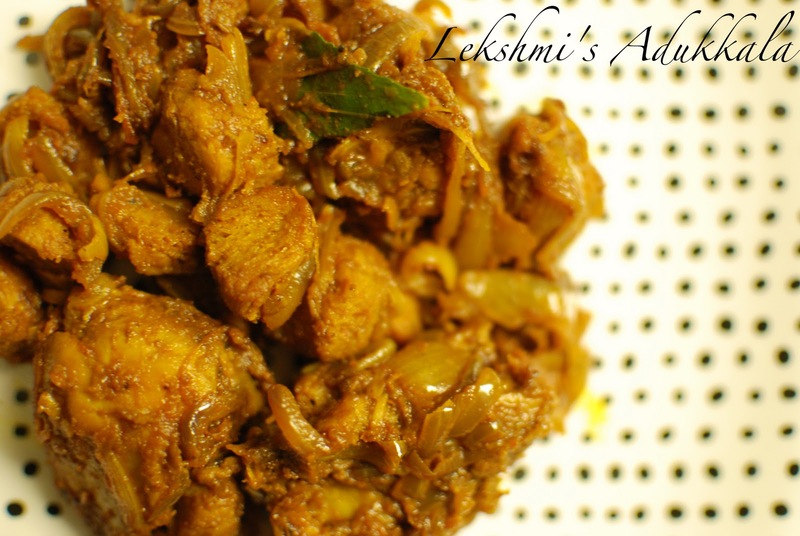 Roasted Soya Chunks and Chicken can form a special combination dish as narrated in this receipe. Soak soya chunks or in hot water for 15 minutes. Cut each balls into 2 pieces. Add onions, green Chillies, ginger and garlic . Fry onions till it turns transparent. Add tomatoes and sauté well. Add red chilly powder, turmeric powder, coriander powder and saute till the raw smell goes. Add chicken pieces, Soya, garam masala, aniseed powder,pepper powder,water and salt into it. Slow down the flame, cover the pan and let it cook. Add Curry leaves when the chicken cooks well. Turn off the stove when the gravy becomes thick.